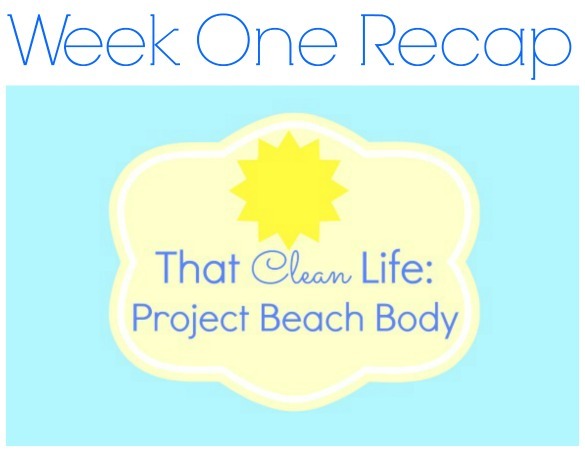 I recently shared my plan to take on That Clean Life’s Project Beach Body challenge — a two-week meal plan that focuses on eating clean. Now that I’m a week in, I wanted to share my thoughts. It’s really been an eye-opener for me. I feel so good, I can’t describe how GOOD I feel! There were so many wonderful recipes I tried, and so many different ways of playing with food. As we know, I’m big on meal prep and planning and this has really been key when following the food plan by Abigail Keeso. The program has really helped me focus on the “why”: why our body needs this food and why it can still be so hard. Our bodies work in mysterious ways. They beg for the fuel to keep them going, and they want to be nourished. For so long, I’ve gone back and forth. I keep a pretty clean lifestyle, but I’m easily distracted. I’m not sure if I get bored, but I think I start to miss the taste of certain foods. So, the cycle starts again. I stay strict, I take a few bites, then I keep going. I often wonder WHY I keep going. I know what the food tastes like, so why do I need another bite … and another? That’s why this week has been so important to me — I’ve connected with the plan and chosen to enjoy the process. I have added additional protein to where it’s optional, and I’m glad I have. My workouts have felt stronger, more so than usual. I really have felt satisfied and don’t feel any cravings. The protein cookies, although they weren’t pretty like Abigail’s picture (mine spread! ), were SO good! 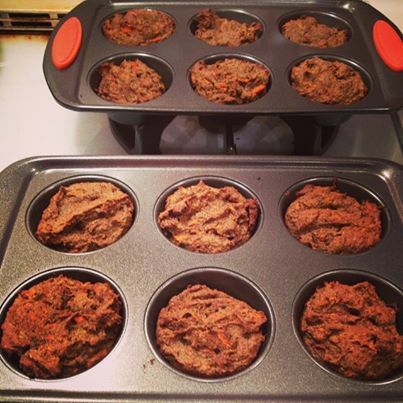 The mini carrot cake muffins? I don’t even like carrot cake and I have been really enjoying these! I’ve been having toast with avocado and egg for some time, so it made me smile to see it on the menu as it’s a favorite of mine. 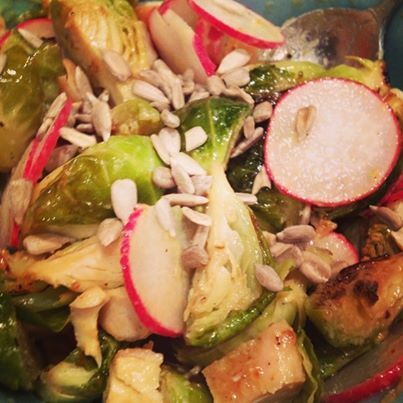 The Caesar Brussels sprout and radish salad was a home run, and really… Alfredo (my favorite in a past life!) sauce made out of cauliflower and almond milk?! Yes please! So far, so good. I feel in control and connected. I have vowed to stay off the scale and to focus on how I feel rather than letting something else decide that for me. Stay tuned for more updates in the coming weeks!